Everyone discusses how incriminating or intrusive Google is, using search patterns and information they know about you to tactically drop ads of products you may want. But is it really hurting you? Do you cry after you see that because you feel emotionally hurt? No...or, I hope not. In fact, a lot of people enjoy this type of advertising, it's one form of what we call Pay-Per-Click (PPC for short). In the last two years, nearly 97% of Google's revenue has come from PPC revenue. That's an astounding number that tells us everyone and their mother is partaking in some sort of PPC campaign. Naturally, you may ask, how can we do it better from an inbound sense? With the help of Drew Erickson, a Pay-Per-Click genius, and owner of Audience Singularity, we uncover 5 ways to help you get better in the PPC campaign management world to align with your inbound marketing efforts. Most people want their information in one place, or bundled so it's easy to gather analytics as easy as possible. Drew explains, "You NEED to link all of your Google accounts. From Adwords, Analytics, Search Console and Merchant (if you do eCommerce), connect all of your accounts so they can talk to eachother, and eventually learn from eachother." Linking these accounts is a manual process, but it will ensure that you have all of your accounts aligned, and able to give you insights, as Drew mentioned, they can learn from being connected to eachother to help streamline your efforts. Thinking Inbound: Linking all of your Google accounts will allow you to get better visualization inside of your inbound marketing efforts. 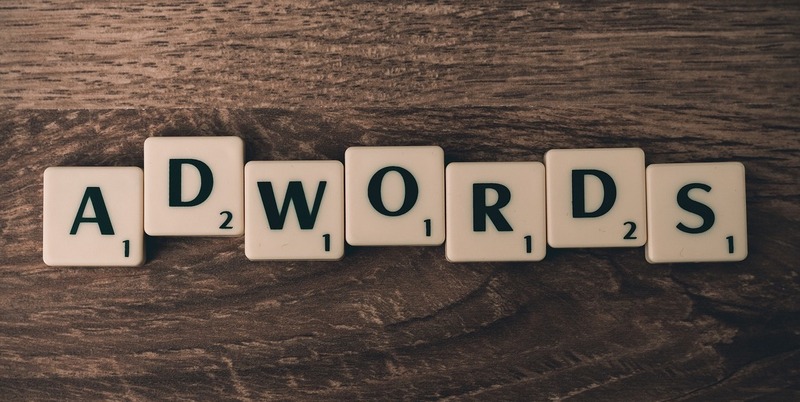 Generating reports based off of your Adwords or Analytics can help you better focus your inbound campaigns on proper keywords and target markets. We've run several campaigns where PPC is helping to boost our marketing efforts from an Inbound perspective. Whether promoting a seminar series, or an eBook, you need to understand your audience. The quickest way to do this is by gaining knowlege before you click go. One tactic Drew uses is dropping tracking pixels on the specific pages you are promoting. These pixels can gather data inside of your Google Analytics tool, allowing you to see valuable data on your audience. Not only does this give you better insight as to the demographics of your audience, but it allows you to get a jump start on how your page is setup, and if it's speaking to the correct audience. When I have worked with Drew on campaigns, we have tried to get these tracking pixels in play a couple of weeks in advance to let that data cook for a few days, making it a little more credible. On top of this, you can do this for your social media audience as well. There are tracking pixels that allow you to gather intel on people signed into social media accounts. For instance, if we have a Facebook tracking pixel on your site page, and someone lands on the page that is currently logged into Facebook, you can use this invaluable data to once again increase your data and knowledge on who exactly is visiting your pages. This will give you a much better mindset and plan of attack when you click go. Thinking Inbound: These tracking links can help build your inbound campaign. In fact, from the beginning, you should place these pixels on all of your landing pages to gather deeper knowledge and intel as to how your pages are performing. Google can sometimes give you better analytics when it comes to page performance. You hear those footsteps, Google? Yep, that's Bing knocking on the doorstep. Now, let's not get ahead of ourselves, Google has a LARGE share of the space. They have for a while. But, Bing is very much growing, and here is the "X factor." Drew mentions, "Microsoft computers use Bing as the default search engine, and with an increasing amount of Microsoft products that rival those of Apple, more and more people are actually using Bing as their 'go-to' SE." So what can you take from this? Google isn't enough anymore. Much like the ever changing technology game, you cannot just sit back and wait, you have to adapt. To keep up, Drew suggests that everyone should throw a small budget to import your Adwords campaign into Bing to help get in front of a bigger audience. Thinking Inbound: It's not enough anymore to just focus on Google's keyword rankings. Start to match up your rankings against SE's like Bing and Yahoo to reach a bigger audience. HubSpot only gives you Google's rankings, but you cannot stop there and count a great ranking as successful. Male versus Female - what numbers are you seeing in regards to the majority of people visiting your site? Mobile versus Desktop - Are people coming to your site via the phone? If so, is your site and campaign set up to be received better mobily? Company & Job Title - Are you attracting traffic that you would consider someone a target persona? How are you connecting with them if they just visit your site, versus interacting and getting in touch? It's never enough to just "oooh" and "ahhh" at your analytics. Google gives you a wealth of knowledge that you wouldn't get in any other way, so use this to your advantage. It may take a campaign or two to nail down a plan of action for how you best align PPC and your inbound marketing efforts, but if you can focus on your audience, you will begin to see your success climb. Thinking Inbound: The use of HubSpot's Persona tool fits right in line with this point. Use the analytics you gather on your audience to edit and customize your persona's to your exact market. If you see predominantly male, or executive level officers visiting your page, make sure to reflect that in your persona research. Remember, your persona's should be always evolving. As we talked above, gathering audience data is great to grow and adapt. But one of my personal favorite tactics is taking this information to help adapt your marketing efforts. When you think of Google Analytics and PPC, you think of how you can help grow your PPC campaign itself. But why stop there? What are you doing to help grow your more traditional digital efforts? Shouldn't the audience data you receive help shape your blogging strategy? Or even the layout of your site? Let's say you are running a PPC campaign for your Pizza restaurant. You gather a bunch of data, you notice your audience are vegetarians (not sure if Google Analytics can track this habit, but roll with me). For pizza's sake, blog about VEGETARIAN OPTIONS!!! USE THIS DATA TO YOUR ADVANTAGE! Example number two; you notice that people are visiting your site from their mobile phone, but leaving your site shortly after they land on that. What can you take from that? Is your site mobile friendly? If not, what are you going to do to change this? The title of this section may be misleading because we aren't talking about biology or evolution, but if you treat this information as a science, turn these statements into a hypothesis: Vegetarians are visiting my site, people are leaving my site when they visit it from their phone. What are you going to do to change? Your success and results rely on your audience, and moreso than not, your audience is telling you something whether directly or indirectly. Thinking Inbound: Use smart content to give your audience exactly what they are looking for. With a number of ways to utilize smart content, and taking the example from above, make sure you have a page that shows the content that a default visitor should see (maybe nothing in regards to vegetarian pizza options), but then, based on your traffic source, persona, etc...edit your copy and content to focus on vegetarian options when the right audience is visiting your page! 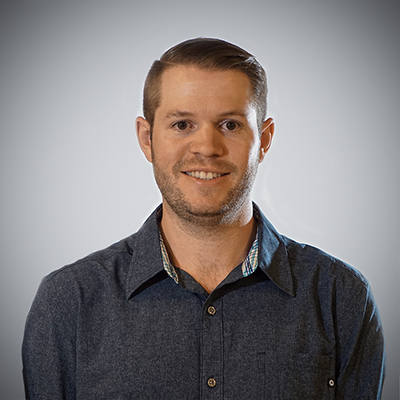 Revenue River, with the help of Drew Erickson, are changing the game in melding PPC into your marketing efforts. Although just a taste of what you should be utilizing, we have more answers. The data doesn't lie, and being able to recognize what you need to be doing, and change, is our specialty, so get in touch with questions you have to help make your inbound marketing and PPC campaigns shine.